There are multiple reasons why one should take up dancing. It is fun, it can help build confidence and it also keeps your waist lean and trim. If you are a beginner to dancing, the following tips and easy ways will help you dance well at parties or on stage. Dancing is all about fun. If you take it too seriously, you will end up trying to remember the steps which will make you falter. Instead, listen to the music and feel the rhythm in your heart. No doubt; you will need to learn the basic steps. 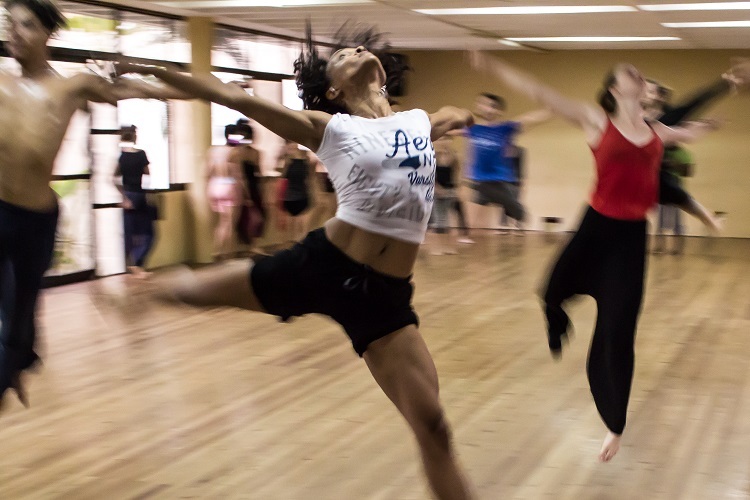 Joining a regular dance class is the best way to learn a particular type of dance, be it salsa or hip hop. But the key step for all types of dances is setting your own pace by listening to the music. Like driving, you will be clumsy in the beginning, but soon you will learn to have fun. Even if you are a beginner to dancing, you need to portray confidence. All the dance couples you see on TV or the stage have one thing in common- they are confident. So, the easiest way to learn dance for beginners is to show an eagerness to learn dancing. Do not hesitate to ask a girl/boy to dance with you. If needed, befriend a good dancer you know and seek help from them. This is especially necessary if you are not taking dance lessons. Being relaxed and smooth is another essential step of learning to dance well whether it is at a party or on stage. The reasons why beginners tend to fumble while dancing is because they tense up their muscles. Did you know that drunks make the best dancers? There is a reason for this; alcohol numbs up the brain and relaxes the body. However; we are certainly not advising you to drink and dance. You can still be smooth and relaxed and dance like a real expert without getting wasted. You can start by practicing in the comforts of your home while no one is watching. Put on some good videos and learn the beginner’s dance steps so that you are slowly confident to dance on stage. Many dancers make the mistake of staring at the feet. This is a strict no if you wish to dance with confidence. The reason why people look down is that they are afraid of stepping on their partner’s toes. If you are dancing at a party, confidently stare over your partner’s right shoulder or if possible look into their eyes while dancing. Whatever you do: keep your chin up! If you have been wondering just ‘how do you dance, especially at parties’, the best way to do so is look around you. Learn from other people dancing nearby; is there a move you can copy or mimic? Perhaps you can change your position and add some variety such as moving from the open hold to the closed hold when dancing with a girl. When you dance before a mirror, you have the chance of correcting your mistakes. You could also videotape your moves to readjust and make corrections. This is especially needed when dancing solo or for dances like hip hop etc. Communication is key step when learning to dance. You must talk to your partner about things you are/aren’t comfortable with. Tell them exactly what you want them to do. As long as you keep things positive and avoid criticizing, then there is no reason why you won’t be successful. Dancing is communication of sorts. So, help out your partner by teaching, guiding and even learning from them. Never dismay, even if you are unable to get a particular step. Keep moving forward with a smile on your face. Practice the move you are unable to do at least hundred times until you perfect it. In many dance styles like Salsa, you can keep the beat by counting in your head. Whatever you do, do not keep apologizing to your partner. Once or twice is fine; more than that is plain annoying, unless of course if you have hurt them physically. There is no easy way to learn to dance well other than practicing hard. The best thing to do is dance in a group, with a friend or with a trainer. You can always practice your moves and video tape them in the comforts of your home. Have a mentor critic your video routines so you can correct areas where you may be going wrong. As already stated, the best thing to do is have fun.Nothing else matters and if not anything you will surely end up making friends!